It’s time for Jose Melendez’s KEYS TO THE 100 GREATEST RED SOX. Can you believe it? Can you? Jose is doing something for the common good. For the betterment of mankind, Jose is setting aside his current personal ambition, finding a suitable nickname for lefty reliever Hideki Okajima drawing either on the 1988 Michigan Democratic Presidential Primary or the West Coast Avengers comic book (note: Wonderman? Moon Knight? Jose’s got nothing. ), and becoming part of the 100 Greatest Red Sox project that has brought together myriad Red Sox bloggers to not make money no longer as individuals, but as a collective. Of course, Jose was initially drawn to the project by the fact that Jose Offerman was on the original list, and Jose desperately, desperately wanted to write the profile on Offerman, or as Jose prefers to call him “ The Great Man.” Unfortunately, by the time the acid wore off and the powers that were no longer in the mystical fantasyland where Jose Offerman is one of the 100 greatest Red Sox of all, Jose had already been roped into doing six profiles. Each of these profiles will be available here at KEYS whenever Jose feels like it, and when their number comes up on the top 100 list. So now, without delay, Jose is proud to present the first of two sets of special KEYS that he agreed to do before thinking better of it. As the first capsule profile of a top 100 Red Sox that Jose has dared to write, there was no formula for Jose to draw upon, none of the comforting rituals of banality in which to swaddle himself. So it falls to Jose to dive in forthwith lest he be branded Hamlet on the Charles. So let’s take a look at a moment, a single instant of time, that made Tom “Flash” Gordon the Red Sox legend he is today. Tom Gordon’s greatest Red Sox moment arrives. It arrives not with the slap of a ball in the tired leather of a well-worn catcher’s mitt, but with the thunderclap of ash on horsehide, as David Ortiz swings as smoothly and as surely as a pinball flipper on a spoke, and sends the ball flying, as if rolling up a ramp and into the Boston night. Yankees 4--Red Sox 3 and six outs to go. TILT. Yup, Tom Gordon did a lot for the Boston Red Sox, and we should appreciate him. Heck, he did more that night alone, walking Kevin Millar, and panicking with Dave Roberts pinch running for Kentucky Fried Kevin, allowing Mosey Nixon to slap single Roberts to third on a hit and run. He did more for the Red Sox that one night than in his entire stint with the team. 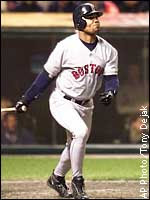 And that’s why he is one of the all time greatest Red Sox, even if it was for his work in pinstripes. But of course this is totally unfair. In his time with the Red Sox, Tom Gordon was, well, flashy. He came aboard as a starter, as he had been in Kansas City before, and put in mediocre inning after mediocre inning before trying his hand in the bullpen. It was then that he discovered that free from the awful burden of pitching more than one or two innings at a time, he could throw quite a bit harder. Indeed, he was almost incapable of blowing a save, at least between April and September. But in October things were different. When the apples got big and ripe, Gordon would wither and fade, such as in 1998, when his blown save against Cleveland in Game 4 of the ALDS, only his second of the season, prevented Jimy Williams from looking like a genius for starting Pete Schourek over Pedro Martinez. At least some good came of it. No, Gordon seemed to be a Vanderjagt or Schiraldi, brilliant in the regular season and soft in the post season, than he did a Mariano Rivera. It got worse, Sox fan and author Steven King authored a book that off-season entitled The Girl Who Loved Tom Gordon with predictable results. King got hit by a truck and Gordon blew out his arm, all but ending his Red Sox tenure. We all know King is comfortable meddling with the forces of the dark, but seriously, he should have known that messing around with the Red Sox would have dire results. As soon as Jose signed his letter of intent declaring his plans to participate in this project, he knew he wanted Troy O’Leary. Let’s look at the facts. First, O’Leary hit one of the two batting practice balls Jose owns from his time working at Fenway in 1995. 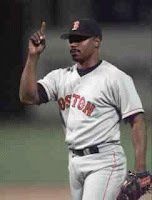 (Note: The other belongs to the then h itting coach a washed up hack named Jim Rice who could still crush batting practice.) Second, O’Leary, like Jose frequented a bar named O’Leary’s on Beacon St. just West of Kenmore Square. They have good soda bread there. Third, the rumors about the personal problems that distracted O’Leary in 2000 involve the delicious combination of Mrs. O’Leary and a speedy teammate, making this the most interesting story involving a Mrs. O’Leary that does not involve the incineration of Chicago. Fourth, his nickname “Yummy,” given for his sweet tooth, is maybe the best official Red Sox nickname of all time. Jose only regrets that he was not writing at the time, so he could have demanded that “yummy, yummy, yummy I’ve got love in my tummy” by Ohio Express become O’Leary’s theme song. When Jose selected Pete Runnels as one of the old-timey players he would profile, Jose just assumed that he was related to professional wrestler Virgil Runnels III, a.k.a. 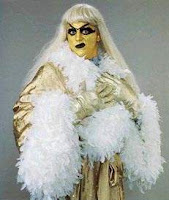 Goldust, and his father Vigil Runnels Jr., a.k.a. the American Dream Dusty Rhodes. Pete Runnels is not. Nuts. However, all is not lost, as it turns out that Pete, like his fellow Runnels’ has a secret identity. His shocking true identity is James Edward Runnels. So going by Pete is kind of pathetic. Jose hates people who hide behind fake names. They’re kind of sketchy. Come on, see the resemblance? They've got to be related. But as it turns out Jose is glad that he ended up with Runnels. You know why? 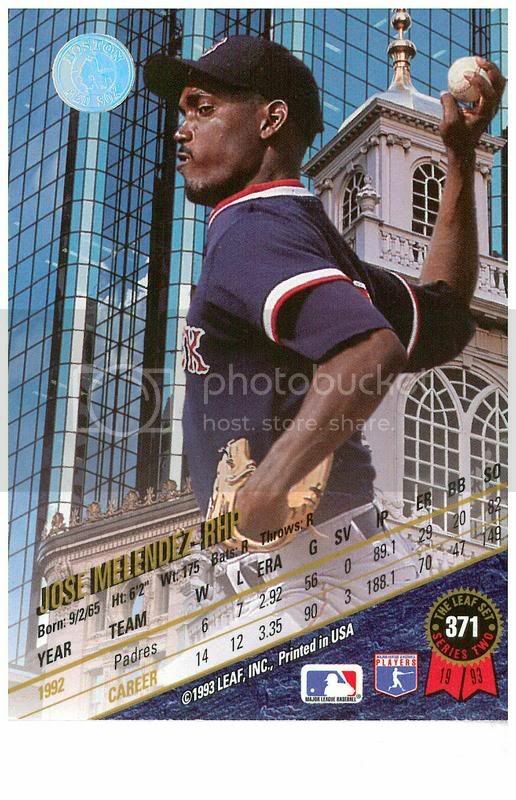 Because Baseball Reference lists, as his eighth most comparable player… get ready… Jose Offerman! Ergo, this profile is the eighth most like writing a capsule pinup of Jose Offerman. It has to be, it’s sabermetrics. That said, there are still a lot of differences between Runnels and Offerman. For instance, Runnels was a three time All-Star in 1959, 1960 and 1962, whereas Offerman was an All-Star, well, never. Runnels won two batting titles, and barely lost a third to Ted Williams, whereas Offerman won none and narrowly lost a race with Dante Bichette for biggest jackass on the team. And with on base percentages ranging from .396 to .416 in his years with the Red Sox, Runnels could have done a far better job replacing Mo Vaughn’s “on base capability” than Offerman ever did. Of course, Offerman does have his advantages too. Even though Jose has never seen tape of Runnels, he’s pretty sure he didn’t make that over the shoulder play running into the outfield as well as Offerman… come on, no one made that play as well as Offerman. I’m Jose Melendez, and those are my KEYS TO THE 100 GREATEST RED SOX.